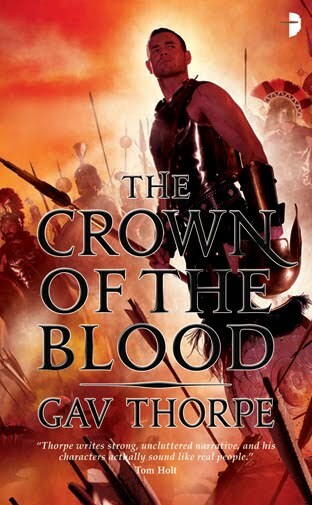 "The Crown of the Blood"
Gav Thorpe is one of the authors that enrich the vast Warhammer universe with his novels, contributing with more than 15 novels to this setting. “The Crown of the Blood” is his first step outside the Warhammer universe and the first novel in the fantasy series with the same title. “The Crown of the Blood” is set in a world that resembles with a mix between the Roman and Middle Eastern empires, but with Gav Thorpe’s personal additions to the mixture that make his world captivating and interesting. Greater Askhor is an empire that reached its highest peak after years of war and conquest and it seems that it cannot be challenged by anything. But times are changing and so is the destiny of the empire. But not only the laical parts have a role to play in the story, the spiritual level has a strong word to say too. Myths and supernatural elements embrace each other in this dance for power. Unfortunately, although I did find the theological part one of the most interesting aspects of the novel, it is also one of the most undermined elements of “The Crown of the Blood”. Its presence is felt only occasionally, hasted most of the time, and it left me rather unsatisfied by its sparse appearances. With scheming, politics and religious interests coming all into play Gav Thorpe sets the premises for the plot of the novel, a story that picks energy and speed with each turned page. For the first half of “The Crown of the Blood” the story will advance slowly, but once all the wheels are set into motion the pace increases to higher speeds. From that half point forward the novel inclines its balance toward the strong military elements, featuring plenty of action scenes, battles, strategies, tactics and logistics making their presence felt. Gav Thorpe shows real strength in his battle scenes, describing them with efficiency and making them very appealing and almost cinematic to me. 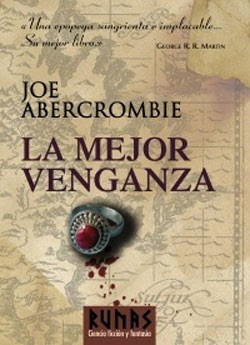 The end of the novel is a bit rushed in my opinion, but it has an interesting twist that comes as a pleasant surprise. The main protagonist of the novel is Ullsaard, a seasoned and successful general, who finds the latest imperial politics stagnating and who develops a new personal agenda. Ullsaard is an interesting character, but like every other character of “The Crown of the Blood” I cannot say that I was very fond or attracted by him. Gav Thorpe balances his characters perfectly in terms of individual interests and alignment, every single one having a personal goal to reach, but without making the character clearly good or bad. The fact that Gav Thrope doesn’t name a faction or character as the good or the bad one is the strong point of characterization, but the weakest point is a certain lack of depth, missing elements outside their immediate interest. This and the fact that all are men. “The Crown of the Blood” makes the song title “It’s a Man’s World” literally accurate. The novel is overwhelmed by male characters and the female characters are just too few, underdeveloped and present only as an accessory for the men of the story. This aspect is disconcerting and I believe that rips an immense hunk from the male characters construction. The women’s presence is for the plot wise purposes solely and nothing more. It is true that patriarchy was the principle at the base of many social organizations, but for the benefit of this story, although the society is clearly a patriarchate, a stronger presence and characterization of female characters would have made “The Crown of the Blood” a more interesting and powerful story. 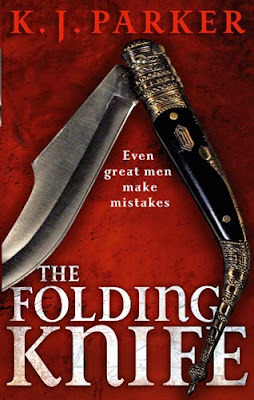 “The Crown of the Blood” is about intrigue and politics, but it is mostly about military discipline, physical endurance and the strength of the muscles. Gav Thorpe weaved an action driven story for the fans of military fantasy. Aliette de Bodard’s debut novel, “Servant of the Underworld”, released earlier this year in the UK by Angry Robot is available from 26th of October in the US too. “Servant of the Underworld” is on my reading desk, close to the top of my reading pile, and soon I will have a review of Aliette de Bodard’s novel. Recently, I found on Aliette de Bodard’s blog a book trailer made by the author herself, an appetizer that gives us a small taste of the novel. Also on the auhtor’s website we can find links for those interested in reading the first three chapters of the novel. Furthermore, the excellent The World SF Blog opens a series of posts in which they will be publishing one short story every Tuesday and the first one is Aliette de Bodard’s “Mélanie”, originally published in Realms of Fantasy magazine and which is available now on The World SF Blog too. When four old university friends set off into the Scandinavian wilderness of the Arctic Circle, they aim to briefly escape the problems of their lives and reconnect with one another. But Luke – still single and living a precarious existence – cannot identify with his companions any more. Lost, hungry, and surrounded by forest untouched for millennia, Luke figures things couldn’t possibly get any worse. But then they stumble across an old habitation. Ancient artefacts decorate the walls; bones are scattered upon the dry floors. 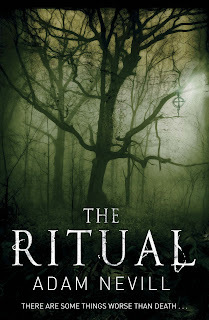 The residue of old rites and pagan sacrifice for something that still exists in the forest. Something responsible for the bestial presence that follows their every step. Death doesn’t come easy among these ancient trees . . .
Until then, we can enjoy a short story by Adam Nevill published exclusively on Pan Macmillan’s website. This month Solaris Books published Jonathan Oliver’s anthology, “The End of the Line”, which I featured here on my blog and I hope to read soon. In October 2011 Solaris Books will release another anthology edited by Jonathan Oliver, “House of Fear”, this time centered around a haunted house. 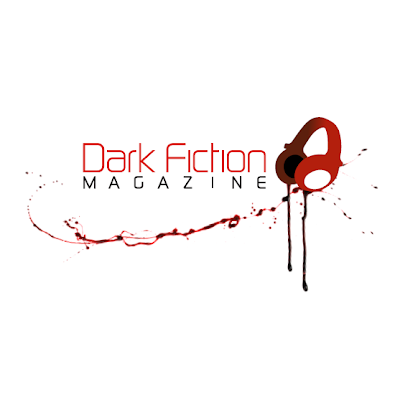 The list of authors featured on this anthology includes Joe R. Lansdale, Tim Lebbon, Sarah Pinborough, Christopher Priest, Christopher Fowler, Adam L.G. Nevill (mentioned above), Paul Meloy, Lisa Tuttle, Eric Brown, Jonathan Green, Nicholas Royle, Nina Allan, Chaz Benchley, Stephen Volk, Garry Kilworth, Weston Ochse and Rebecca Levene. In September next year, I'm delighted to be able to tell you that we will be publishing the brilliant Regicide, by Nicholas Royle. I've been a fan of Nicholas for many years now, devouring books like Director's Cut and Counterparts. Royle is a fiercely intelligent writer and Regicide is a terrifying journey through a landscape of grief and loss. Those not aware of Royle's work are in for a treat. If you like China Mieville and Neil Gaiman then you're going to love this. We just had the delivery of the second book in Col Buchanan’s Heart of the World series, carrying on the tale of the solitary Rōshun warrior, Ash. 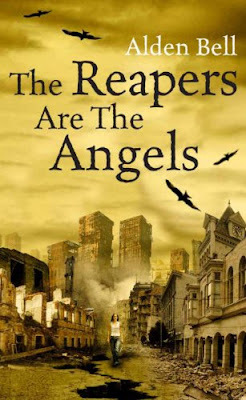 The book is full of action, pace, new characters and some wonderfully exciting plot twists. We’ll be publishing this second novel in August next year with the paperback of Farlander publishing in March 2011. Co-founder Del Lakin-Smith said: "I love reading short stories, and with the increased uptake of mobile and portable devices this really is a growth area. But like many I find I don't have as much time as I would like to read, so I tend to listen to many podcasts on the go. 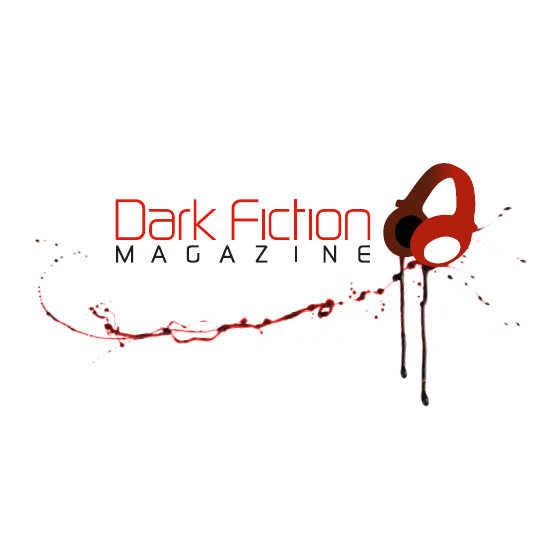 The idea of replacing my podcasts with high quality, well performed audio short stories is something I find highly appealing, so Sharon and I set about making that a reality." The first episode looks truly great, Joseph D’Lacey with an original story, the excellent story of Gary McMahon, “Pumpkin Night”, which I enjoyed in the fullest in his collection “How to Make Monsters”, Sarah Pinborough who tends to become one of my favorite writers and Conrad Williams who recently won the British Fantasy Award for the best novel, with the haunting “One”. I am looking forward to listen this first episode and the ones to follow it. I loved Sarah Pinborough’s “A Matter of Blood”, the first novel in her “Dog-Faced Gods” trilogy, and DI Cass Jones is one of the best characters, if not the best, I encountered in this year readings. 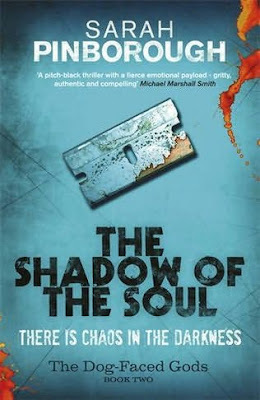 Therefore one of my most anticipated releases of 2011 is the second novel in the “Dog-Faced Gods” series, “The Shadow of the Soul”, due to be released by Gollancz on April. Sarah Pinborough’s novel is even more appealing now, with another simple, but very efficient cover artwork, and with a synopsis that tickles my fingers in anticipation of this release. Then he's given a note from his dead brother Christian, written before his murder: the three words - 'They took Luke' - opens up a whole new can of worms, because Cass knows immediately who They are: Mr Bright and the shadowy Network. His dead brother has set him a task from beyond the grave - to find the baby, his nephew, stolen at birth. And as Cass tries to divide his time between all three investigations, it's not long before he discovers links, where there should not be. The mysterious Mr Bright is once again pulling his strings, and there's nothing DI Cass Jones hate more . . .
“Malazan Book of the Fallen” series comes to an end next year and thanks to Adam (The Wertzone) and Aidan (A Dribble of Ink) we can have a look at the cover artwork of the Bantam Press edition of Steven Erikson’s “The Crippled God”. The artist is Steve Stone and the artwork is truly fitting for the finale of this appreciated series. 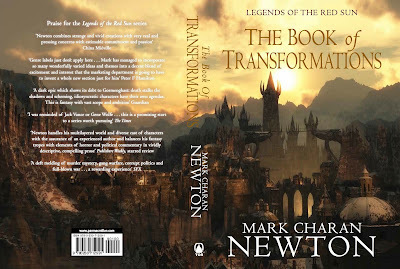 A while back, Mark Charan Newton showed us a cover draft for his novel, “The Book of Transformations”. I admitted at the time that I didn’t like that cover, mainly because of the central character featured on that draft, and I wasn’t the only one who had that problem. 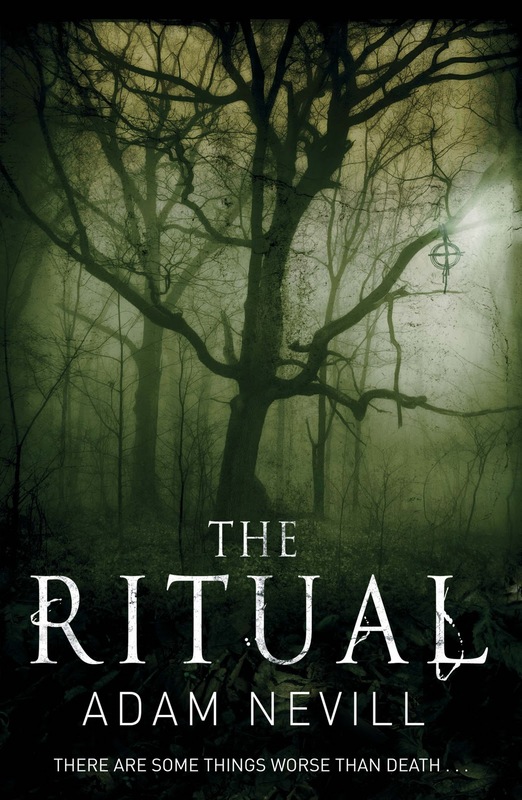 Following the debate surrounding the initial cover draft and based on the online feedback the publisher, Tor UK, and Mark Charan Newton made an interesting and unexpected decision eliminating the figure from the cover, at least for the hardback edition. The cover looks much better and seeing it in the fullest now I am even more pleased to see the character gone, because she was taking a lot from this perspective. Mark Charan Newton posted the blurb of his third novel in the “Legends of the Red Sun” series on his blog too, a very catchy one, that makes me very curious and eager to find where the story goes after the first two novels of the series, “Nights of Villjamur” and “City of Ruins”. 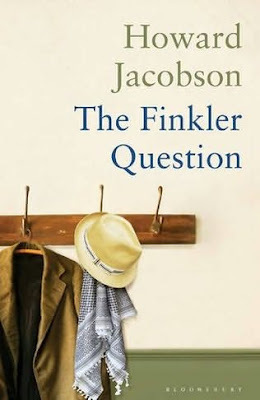 Yesterday, the 2010 Man Booker Prize for Fiction was awarded to Howard Jacobson for “The Finkler Question”, published by Bloomsbury. The last trip was quite long and tiresome, but it went very well. It didn’t left me much time for rest or reading, but it proves to be rewarding already. At my return home I was very happy to find, however, that finally the Swedish Academy decided to award the Nobel Prize for Literature to the great Mario Vargas Llosa. I read 6 of Mario Vargas Llosa’s novels and each one of them was a delight. I remember especially “La Ciudad y Los Perros” (The Time of the Hero) an excellent and complex novel, with multiple perspectives and sending the reader well on thought, “Pantaleon y Las Visitadoras” (Captain Pantoja and the Special Service), a novel entertaining and hilarious, and “Conversacion en la Catedral” (Conversation in the Cathedral), a novel that portrays Peru of 1950s and that together with Gabriel Garcia Marquez’s “El Otono del Patriarca” (The Autumn of the Patriarch), Augusto Roa Bastos’ “Yo, El Supremo” (I, The Supreme) and Alejo Carpentier’s “El Recurso del Metodo” (Reasons of State) form a quartet of novels related to dictatorship that always will stick with me. Congratulations to Mr. Mario Vargas Llosa! It is well deserved! One of my all time favorite characters is the legendary Drizzt Do’Urden. I have fond memories of Drizzt Do’Urden, but I have to be completely honest and say that I have a drawback too. I enjoyed the early novels featuring the dark elf, but after a while it seemed that his story overstretched, pulling on things that were better left aside. 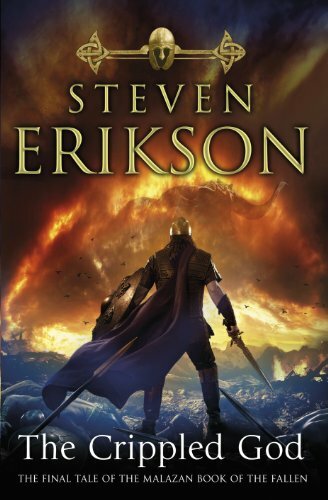 Therefore at a point I didn’t feel as eager to start reading a new adventure of Drizzt Do’Urden as I was before. That point was the “Transitions” trilogy, because although I bought all the three novels of the series, “The Orc King”, “The Pirate King” and “The Ghost King”, I didn’t read any of them. 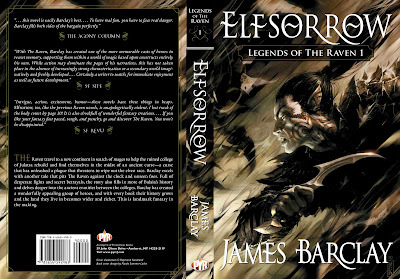 Today, Wizards of the Coast releases a new R.A. Salvatore’s novel featuring his famous character, Drizzt Do’Urden. I still have the character in my heart, I will always have him, and the book trailer looks very good, but I am not exactly sure when I’ll be reading “Gauntlgrym”. 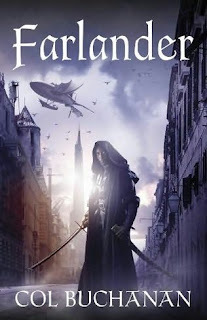 I will definitely buy R.A. Salvatore’s “Gauntlgrym” because I am sure that one day it will come the turn of all these unread Drizzt Do’Urden novels to find their way on my reading table. Still, I am saddened to see that Drizzt becomes a bit too commercial for my liking. I am happy to see that the small Romanian publishing house, Millennium Press, continues to support the speculative fiction market, releasing a mix of interesting titles by local and foreign writers. Another praiseworthy work done by Millennium Press can be seen on the covers of their releases, kept on a constant high level lately. One of the Millennium Press future releases is the anthology edited by Martin H. Greenberg, “The End of the World”, which was published in the US on July this year by Skyhorse Publishing. The cover artwork chosen by the Millennium Press for the Romanian edition of “The End of the World” (Sfîrşitul Lumii) looks great, very appropriate for the subject in question and with an atmosphere that is equally disturbing and uncomfortable. The artist of the artwork is Ehsan Dabbaghi and I have to say that until now I was unaware of his works. But I am happy that this wonderful cover also made me discover Ehsan Dabbashi, because the works I saw on his CG Society portfolio are truly impressive. Titles spotlight - "The Apex Book of World SF" volume 2 & "Down These Strange Streets"
I am always behind with my readings, not in a deadline term but in a desire to explore many titles that truly appeal to me. Two such titles came back into focus these days, two anthologies on which I set my eyes for some time, but for different reasons ended up unread so far. “The Apex Book of World SF” edited by Lavie Tidhar is waiting patiently for its turn although I have a review copy for quite a while now, while for “Warriors” edited by George R.R. Martin and Gardner Dozois I am still pondering if I should wait for the release of the paperback edition or buy the hardcover now. The reason for these two anthologies coming into focus in full force is that the editors of these collections announced the Table of Contents for two similar projects. The second volume looks very interesting indeed, with a few familiar names and other writers who are waiting to be discovered. But until the publication of the second novel I moved the first one at the top of my reading list. George R.R. Martin announces on his blog that together with Gardner Dozois he completed the work on another anthology, “Down These Strange Streets”, due to be released by Penguin Putnam, at an unknown date for now . As George R.R. Martin says on his post: “Down These Strange Streets” is another of our crossgenre projects, this one a mix of fantasy, science fiction, urban fantasy, hardboiled mystery, historicals, and private eye stories.